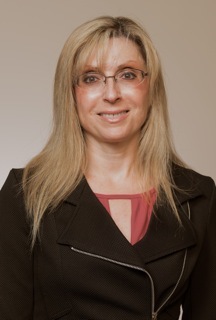 Dr. Berman earned her Doctor of Dental Surgery Degree (DDS) from the Indiana University School of Dentistry in 2004 with high distinction and ranked #1 in her class. She went on to complete a year of General Practice and Hospital Dentistry in the Indiana University School of Medicine. Following the completion of a two-year specialty program at IU School of Dentistry, she received a degree of Master of Science in Dentistry (MSD) and a certificate in Endodontics. In addition to private practice, Dr. Berman currently serves as part time faculty in the Endodontic Department at the IU School of Dentistry. She is a member of the American Association of Endodontists, the American Dental Association, the Indiana Dental Association, and Indianapolis District Dental Society. Our clinic is set up to provide our patients a comfortable, stress free experience thanks to our friendly staff, inviting reception area, and a variety of entertainment and refreshment options. Each operatory also has a view to the green outdoors, daylight coming in, and a personal TV with your favorite channels to enjoy during the procedure. Allow us to do what we do best while you just sit back and relax! 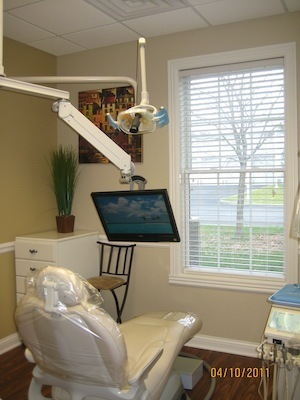 Our clinic is equipped with the latest technology in order to ensure successful root canal treatments. Each operatory has a digital x-ray unit, minimizing exposure times and risks of radiation while delivering instant results and reducing treatment time in the chair. The large scale instant images can also be displayed on the patient's TV and allow us to discuss the condition of the tooth and planned treatment with our patients to ensure their complete understanding of the proposed treatment. The addition of the CS 9000 3D Extraoral Imaging System to Dr. Berman's office revolutionizes patient treatment and prefects the way his practice treats oral infections. Its unique “2 in 1″ system (3D and panoramic) is well suited for very complex diagnostic, surgical and endodontic procedures. The very high resolution imaging capabilities provided by this unit enable Dr. Berman to detect lesions with more accuracy. This breakthrough technology provides unprecedented x-ray views of the oral cavity. Each operatory also has a state of the art microscope through which we perform all of the treatments. The microscope allows us to visualize your tooth on a microscopic level and thus find the canals in your tooth quicker and more effectively, perform the treatment with minimal invasiveness, and better detect such things as cracks in your teeth. Dr. Berman is a firm believer in continuing education and the importance of advances in the various fields of dentistry and endodontics. She is devoted to keeping up with literature and publications, attending and organizing study clubs for dentists and specialists, and participating as well as presenting in various meetings of the endodontic community. Dr. Berman strives to be the best in her field in order to always provide superior treatment for her patients and will be happy to help you with your dental needs!